​​​ DFW – North Texas home sales surged in a record-setting May 2018. Real estate agents sold 11,302 preowned single-family homes in May—the largest number of home sales ever in a single month in North Texas. The month’s home sales were 9 percent higher than in May 2017, according to the Real Estate Center at Texas A&M University and the North Texas Real Estate Information Systems. The median home price was $266,500—the highest ever recorded in North Texas, and up 5 percent from May 2017. Sales of North Texas homes priced below $180,000 are down sharply in 2018 due to limited inventory. More than 22,000 homes were listed for sale through the real estate agents' multiple listing service in May 2018—up 13 percent from a year earlier. While more houses are for sale, there is still only a 2.5-month supply of properties on the market​; a six-month inventory of homes is considered a balanced market. 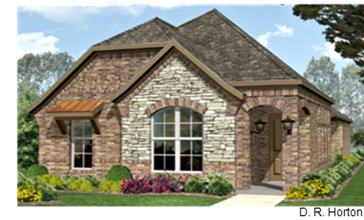 ​Ch​eck out Dallas-Fort Worth-Arlington Housing Market Research​.